Well then…bored at work today, are we? Burning microwave popcorn is one of the Worst smells ever! 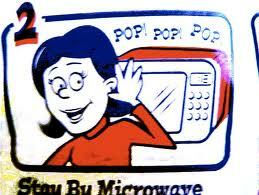 You have just ruined the microwave forever. No bleach, radiation, or other manmade compound will ever remove that stench. Make sure they drive the nails through your wrists, not just the metacarpals. Well, apparently ‘everybody’ does not apply to yours truly. As with most things…. a bit of baking soda in a glass of water, microwave for ten seconds, and then pull the plug from the damn thing, toss it to the curb and go to Wally World and pick up another one for under a hundred bucks…problem solved…. I’m with Guap on this one ,….. but, I want to know the gripping responses. Ah heck … they will get of it. 😉 …. so keep up the good work.